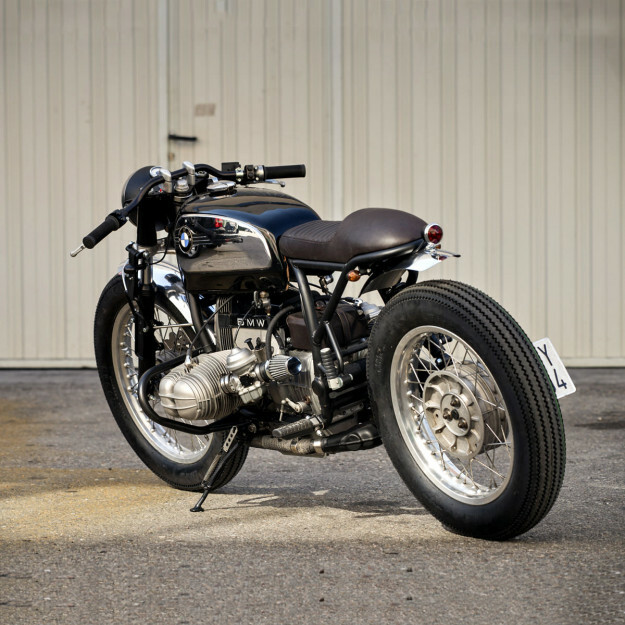 Café Racer Dreams don’t exclusively build BMWs, but you could call them specialists. 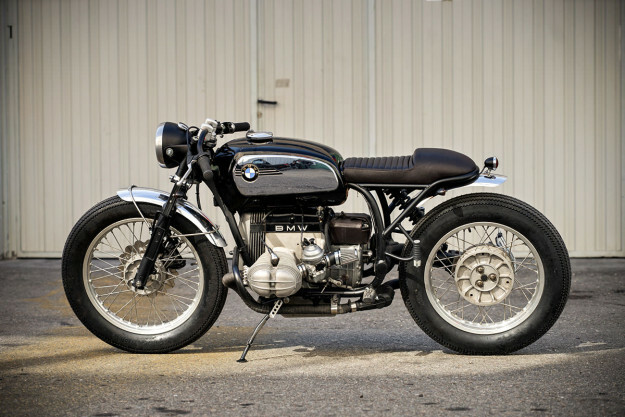 With several elegant examples under their belts—including these two stunning R100s—they’ve learnt a thing or two about turning wrenches on Bavaria’s finest. 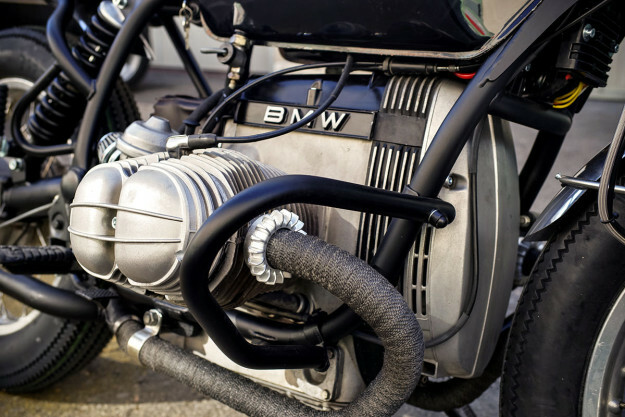 Most of CRD’s classic BMWs share similar technical upgrades and under-the-hood mods. Yet each new ‘airhead’ that rolls out of the Madrid-based workshop is unique—and still manages to capture our attention. That’s because proprietors Pedro García and Efraon Triana have something that can’t be taught: impeccable taste, with an eye for lines, proportions and details. CRD #59—a 1983 R80ST—is one such bike. 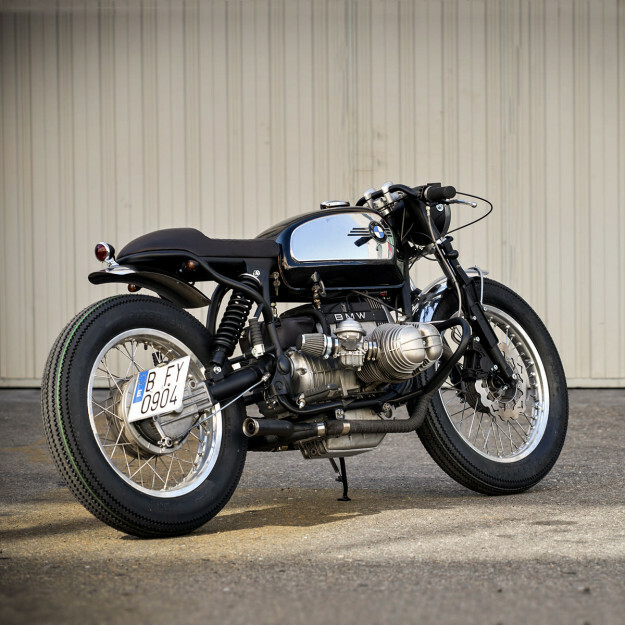 It’s the first time that CRD have given a BMW a more traditional café treatment, and they’ve done a stellar job. Pedro explains that “classic” and “very low” were keywords when #59 was conceived. Essentially a road-going R80G/S, the stock R80ST benefits from a classy single-sided swingarm and monoshock setup—but it’s anything but low. CRD sorted out the stance by slamming the forks and kicking up the rear with a longer shock. 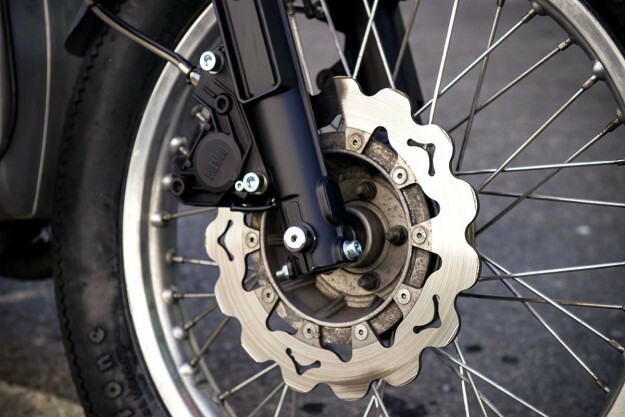 The front brake was upgraded with a Galfer disc and a braided hose. As with all of their BMWs, CRD un-bolted the stock subframe, removed its mounting tabs and welded on a shorter and slimmer unit. In the process they removed the unsightly “ears” that usually hold the muffler and passenger pegs. New passenger peg supports were added, and equipped with a set of Tarozzi pegs. A R75/5 ‘toaster’ tank was sourced and fitted. Out of love for the original toaster design, CRD opted not to repaint it—installing it with a little patina intact. They then created a café-style seat to complete the lines. The bike’s finished off at either end with custom steel fenders. They’ve been polished to match the tank’s side panels. The R80 engine was still mechanically sound, so CRD merely swapped its covers out for more vintage looking ‘peanut’ items. 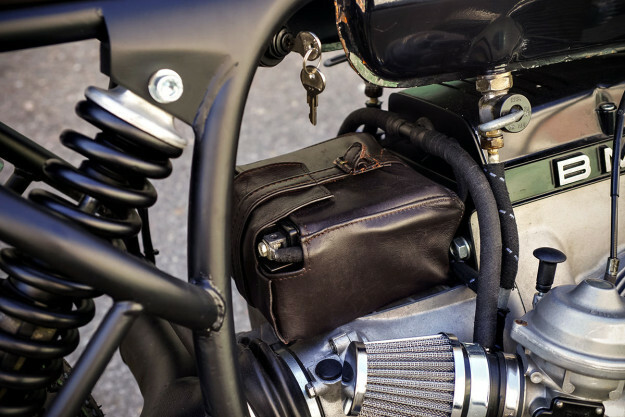 The airbox was removed, and the battery relocated to its space—housed in a hand-made leather box. CRD built the R80’s peculiar exhaust in-house. It’s designed to leave the left side of the bike clear, to help show off the bike’s single-sided swingarm. We dig it, and would love to hear it. Another habit that CRD have formed is rewiring each of their BMWs with a full complement of Motogadget bits. At the heart of the new electrical system is the Motogadget m-Unit: a pricey yet effective digital control unit. 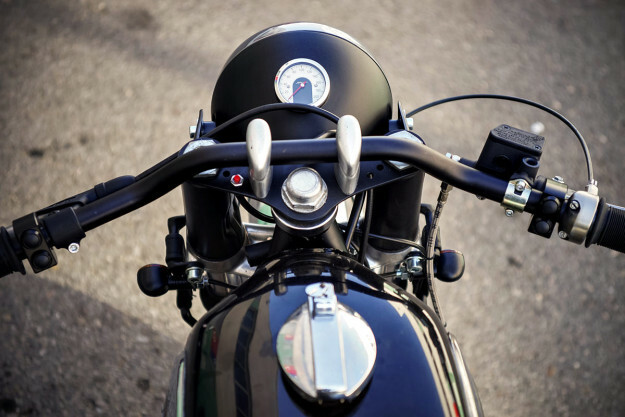 Other bits include m-Switches at the handlebars (with the wires running inside the bars), and a Motoscope Tiny speedo mounted in the headlight. For an ultra-low front end, CRD inverted a set of Renthal bars. 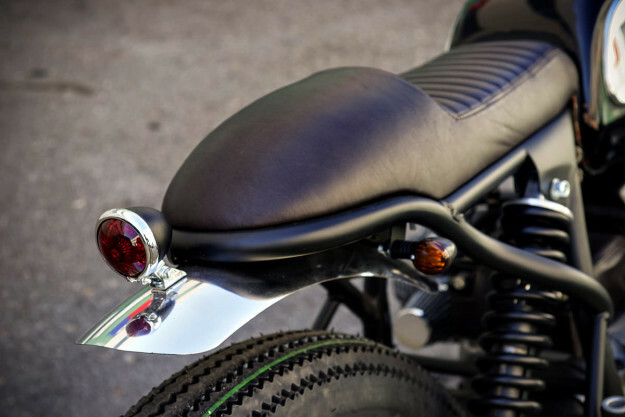 The grips are from Biltwell Inc., and the headlight, taillight and turn signals are all available from CRD’s own online store. CRD #59’s finishes are delightfully subtle: everything’s either been powder coated black, cleaned up and left raw, or polished. 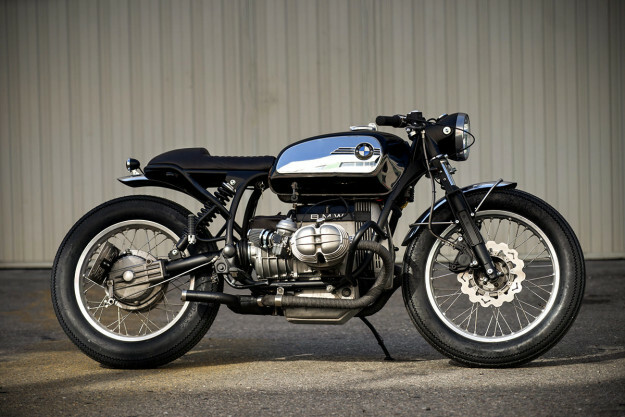 We’ll chalk it up as another win for Café Racer Dreams—and another classic BMW that we want for ourselves.